Front .. . . 1 ? McEwan ..
..... 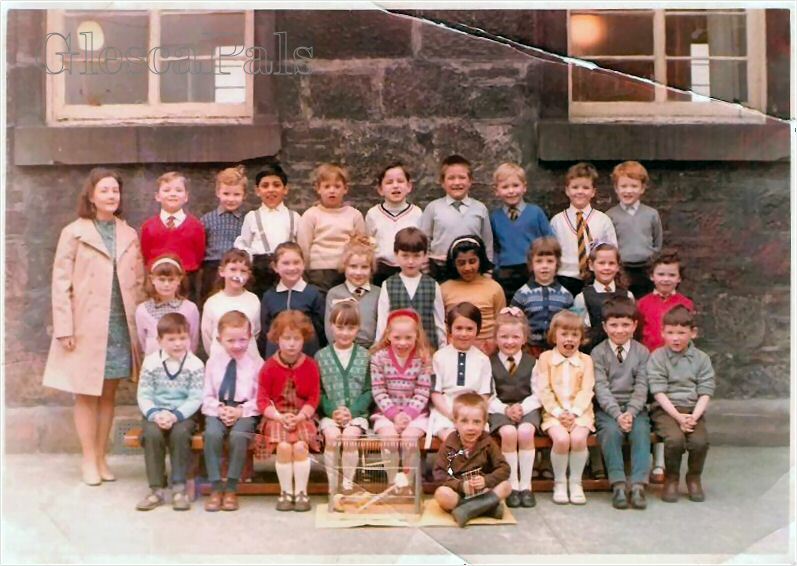 This photo was taken around 1970 I think, my young brother Robert McTear is sitting on second row 2nd from the right, the wee boy on the floor at the front his name ? McEwan. I will try and get more names but if anyone recognises anybody feel free to tell..